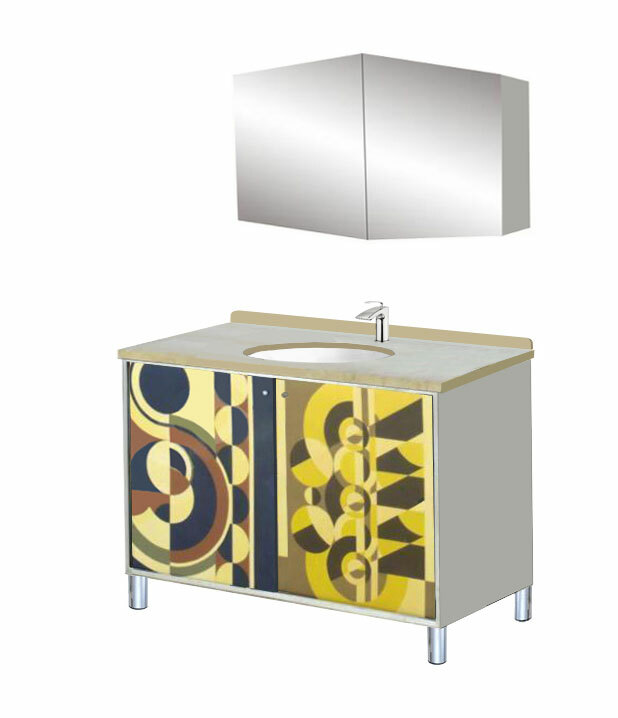 Another really striking new Art Deco bathroom, with a very strong graphic look. 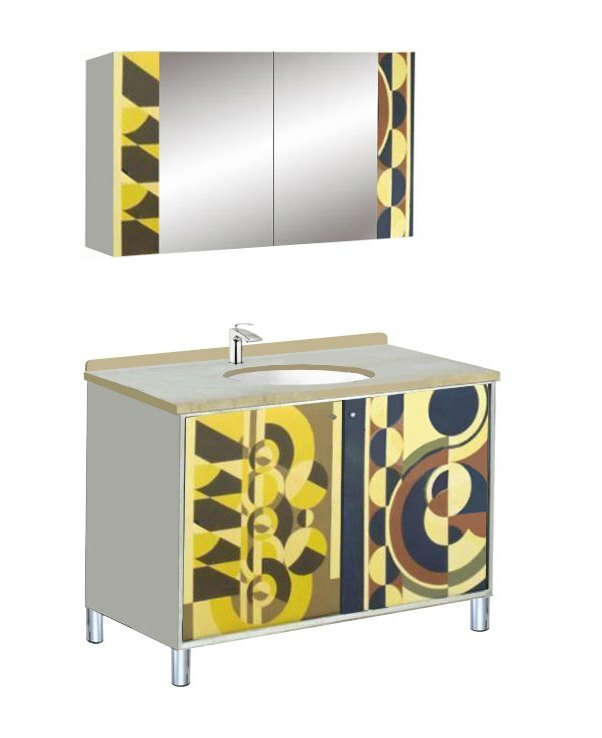 We've taken a Deco bathroom suite & added painted Abstract Cubist designs to the vanity unit & bath panels to produce a visually stunning bathroom. The original idea came from a cabinet by the French designer Rene Herbst. 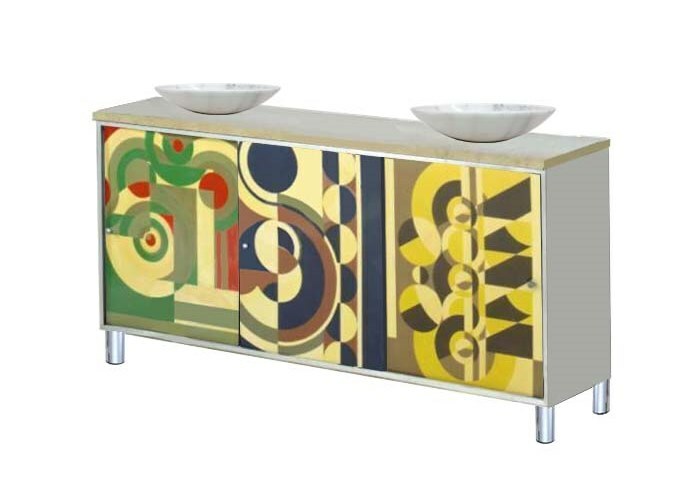 The vanity unit has has chrome legs but could have a plinth instead, as shown below. The 2 door vanity unit is plumbed in, with a limestone colour stone worktop, but this could be a dark stone as well, & undermounted sink. The 2 door mirror unit is the same width as the vanity unit, for visual balance. The bath panels are made to whatever size of bath you have, and use decorative panels. 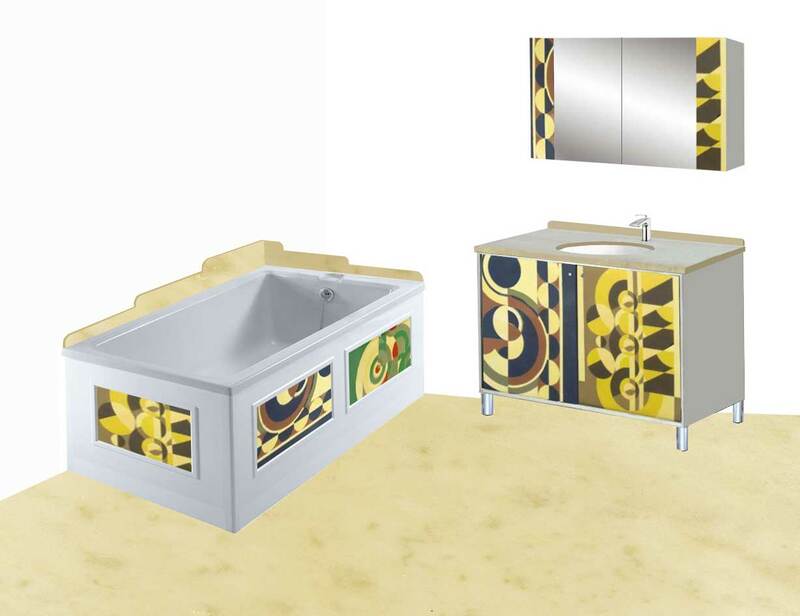 These are the main elements that set the look of a bathroom, with the tiles. Other items such as WC, shower, towel rails, etc., compliment the overall look, but don't create it. We can also adapt the design anyway you want, and you can also choose any colours you want. As it is made to order any elements can be adapted to whatever you want. Above the vanity we've shown 2 wall mirror unit options. The LH version uses painted door borders, to add to the strong graphic look. The RH version uses angular doors to echo the Cubist angles in the patterns. 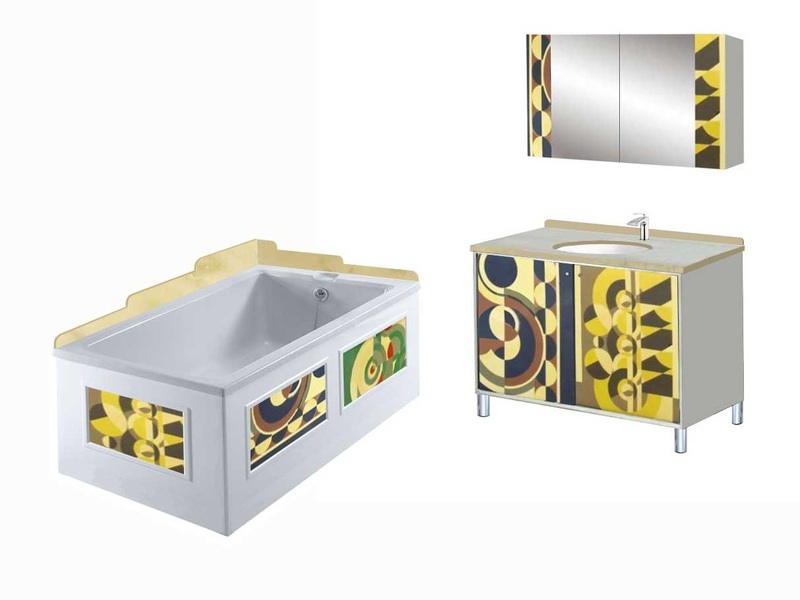 If you bathroom is big enough you could go for a double vanity unit, with his & hers sinks. The version shown above has a plinth instead of legs; a plinth doesn't allow your feet to go under the unit, so you have to lean over the sink more, which is less comfortable. But it does give you a different look. Being lower you could also use sit on bowls, instead of undermounted sinks, which looks more contemporary. Made to order.